It’s safe to say the Japanese animation industry wouldn’t be what it is today without Osamu Tezuka. Not only was Tezuka responsible for the creation of Astro Boy, the original series that sparked the anime phenomenon, he was also the creator of Jungle Emperor Leo, the first full-color TV anime. 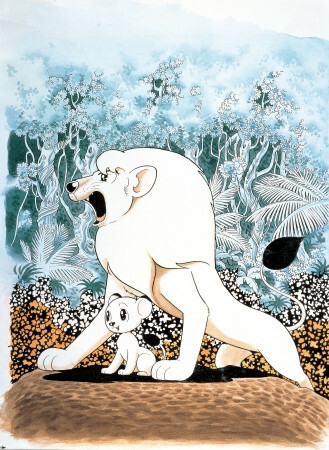 The animation series centers around white lion Panja and his cub Leo and their daily lessons of the wilderness. Along with its depictions of nature and deep themes such as the relationship between animals and humans, it’s no exaggeration to say famed synthesizer artist Isao Tomita’s deep and impressive symphonic soundtrack is what ties the whole animation together. To celebrate the famed composer’s 85th birthday and to pay tribute to his passing in May of last year, Kyodo Tokyo holds a concert it’s calling Animation Symphonic Poem Jungle Emperor Leo, featuring the New Japan Philharmonic playing Isao’s music alongside a screening of the animation. Held on April 19 from 7pm at Sumida Triphony Hall, the concert invites guests on a nostalgic trip back into the magnificent world of Jungle Emperor Leo. Tickets are available starting from March 4 via phone (03-5608-1212), on the web, or at the Triphony Hall ticket center. Prices are 7,000 yen for adults and 3,500 yen for high school students and under.